The Blaze Laserlight features nice machining. Editor’s Note: This article is part of RoadBikeReview and Mtbr’s 2016 Bike Lights Shootout. See the RoadBikeReview Commuter Lights Index and the 2016 Mtbr Headlights Index. 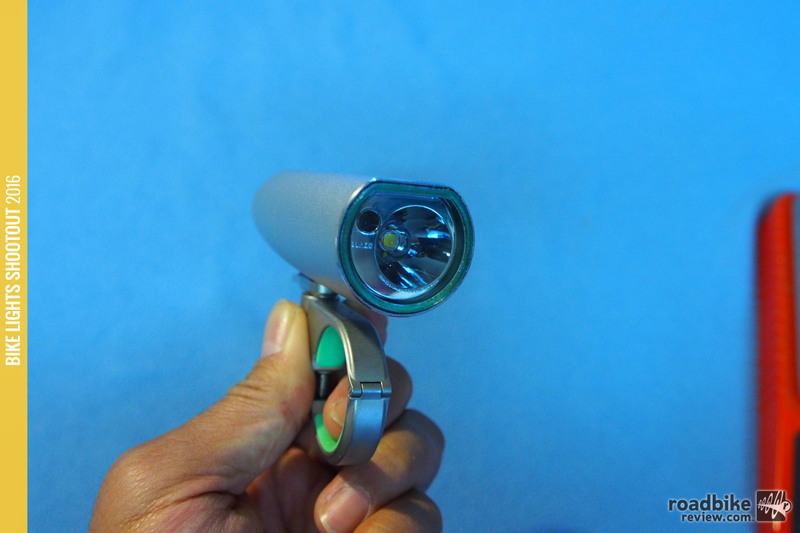 We were instantly intrigued with this light as it incorporated a laser with a headlight. There’s two separate switches to operate the two lights so they can be turned on independently. The laser is a green image of a bike meant to be displayed on the road ahead of the driver to warn cars that there is a bicycle approaching. This is a visual reminder for drivers not to cross your path or merge in to your lane. The Blaze Laserlight is a 300 Lumen light with a nice beam pattern. It is very good for commuting and appropriate for light trail duty as well. We demonstrate the Blaze Laserlight at 1:10 of this video above. Commuting by bike is all about being seen. The more obvious we are to cars, the less we get hit. Most drivers these days respect cyclists but often they are distracted or they are not trained to anticipate the presence and speed of cyclists. The Blaze Laserlight adds to the visibility of the cyclist so that is a great safety too. 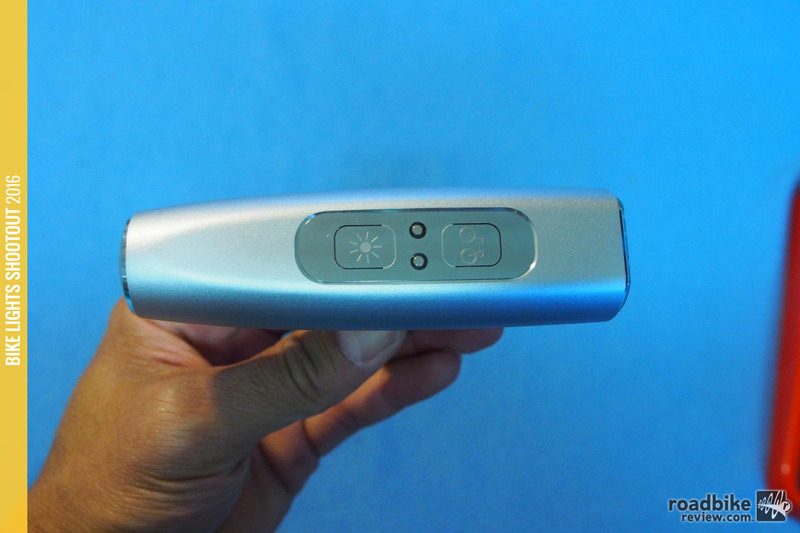 The Blaze Laserlight has two switches to control the LED and the laser. This light is sufficient for light trail riding and often there is some biking on roads to get to and from the trail head. That’s where the Blaze laser comes in handy, as it makes the cyclist more visible without shining very bright lights on to the eyes of drivers.